Can Thailand become a global seed hub? 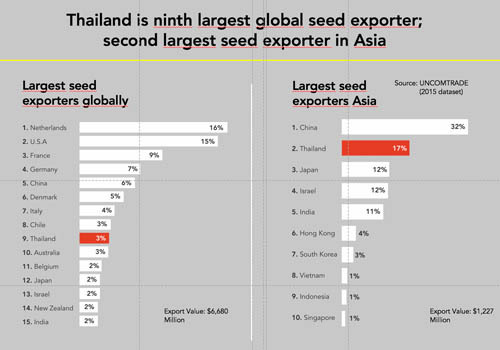 Thailand is currently the ninth largest seed exporter globally and the second largest seed exporter in Asia, according to UNCOMTRADE figures. And the country has expressed the ambition to further grow its position both as a global leader in agriculture and as a quality seed hub in Asia. In light of this ambition, the Thai National Science and Technology Agency NSTDA organized a seminar on the latest developments in seed technology and seed production. 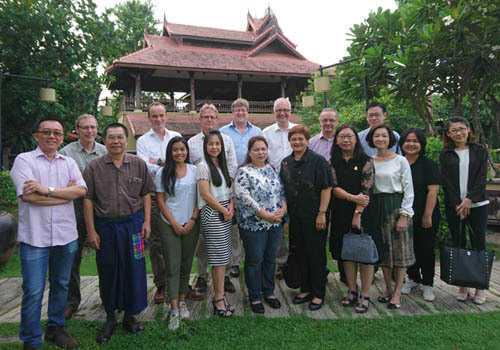 Experts from, amongst others, Wageningen University in the Netherlands were invited to update an audience of 200 representatives from Thai seed companies. The seminar opened with a presentation of the Access to Seeds Index by Mr. Ido Verhagen. In its 2016 evaluation of global seed companies, a company headquartered in Thailand, East-West Seed, was found to perform best in delivering quality seeds to smallholder farmers. As Thailand aims to become a major seed hub in Asia, and as the agricultural landscape in Asia is predominantly large-scale, Mr. Verhagen encouraged the seed companies to specialize in making seed technologies available for smallholder farmers.